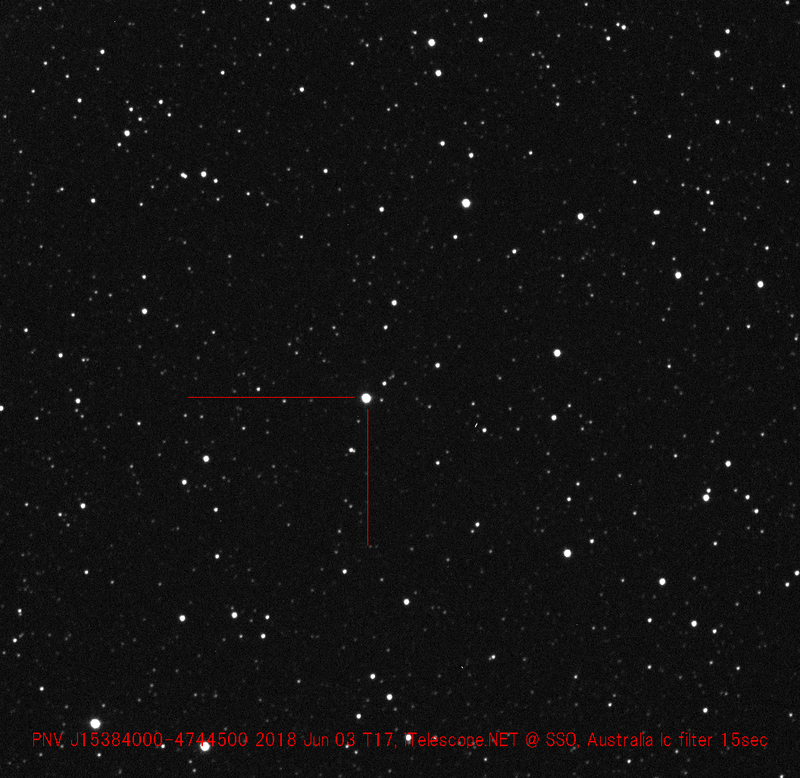 Photometry results were B=9.69, V=8.98, Rc=8.60 and Ic=8.19 with iTelescope T17 (0.43-m f/6.8 CDK astrograph + FLI PL4710 CCD) at Siding Spring Observatory, NSW, Australia. Position end figures were 43.84 and 41.07 in R.A. and Dec. Low resolution spectrum, taken with same telescope, might show Ha emission but not significant. Spectroscopy and multiband photometry are urgently required. AAVSO Alert Notice 637 announces and reports on the discovery of Nova Lup 2018 = PNV J15384000-4744500. Please see notice for details and observing instructions.